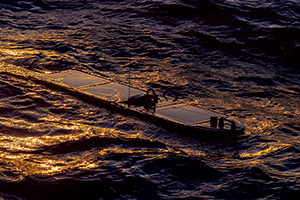 A black device resembling a surfboard lowers into the ocean off the coast of California after being lifted off a large ship by crane. 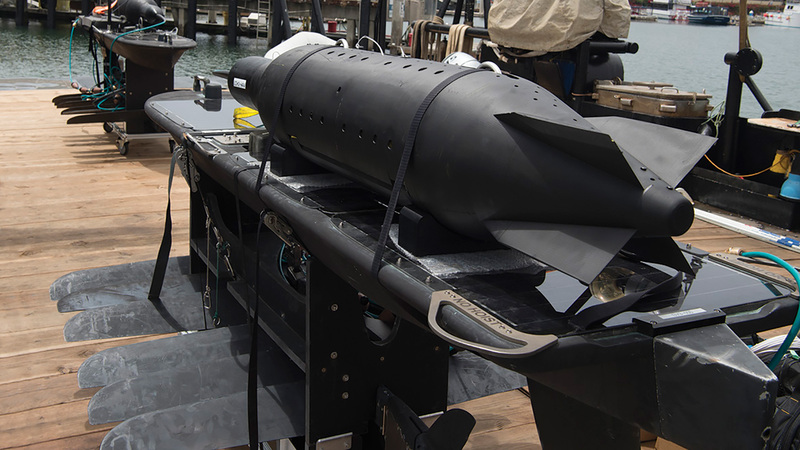 When released, the unmanned vehicle skims the choppy surface before it blends in with the sea and becomes hard to detect — which is what it was designed to do. 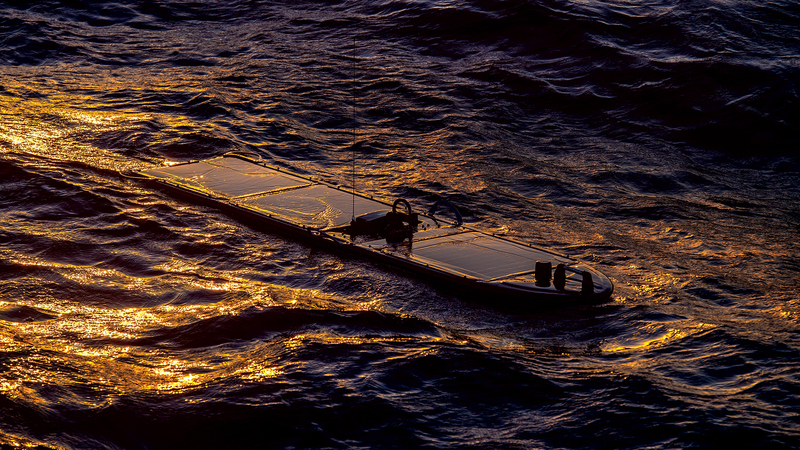 Created by Boeing subsidiary Liquid Robotics, this maritime innovation known as the Wave Glider was originally intended to record the songs of migrating whales. When integrated with Boeing’s advanced sensors for defense applications, the Wave Glider can locate undersea vehicles at substantial distances, hunt for mines, monitor land radar, and gather and relay data to other systems, all while operating on solar and wave power for months at a time. 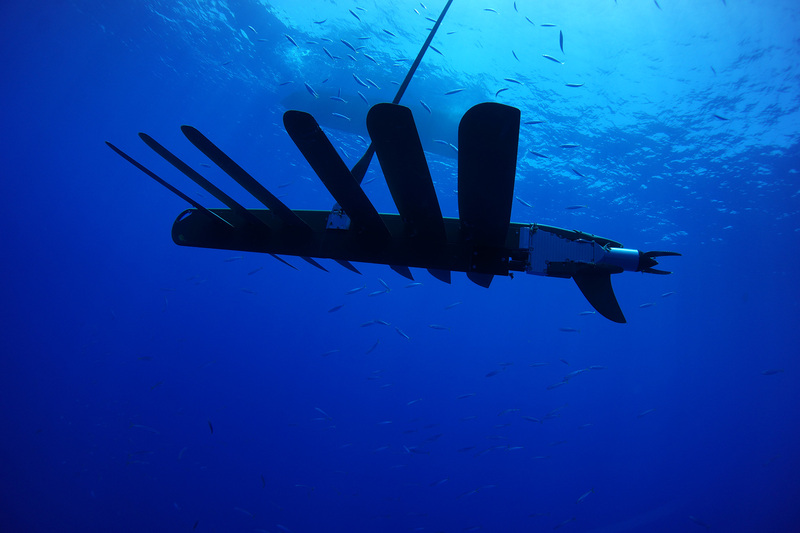 In 2017, the Wave Glider joined Boeing’s growing lineup of autonomous products as part of Defense, Space & Security’s newly formed Autonomous Systems business. 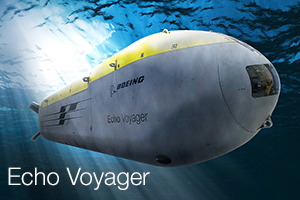 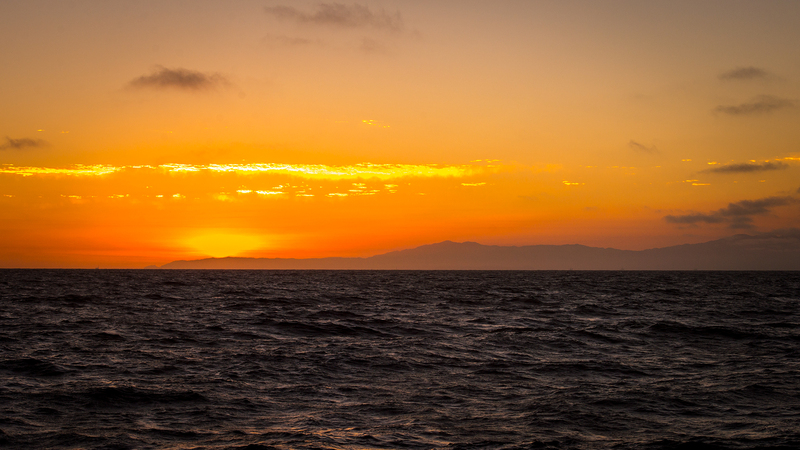 Boeing views the unmanned surface vehicle as a vital middle step to creating seabed-to-space communications, a link needed to connect data transmissions from undersea vehicles to satellites. 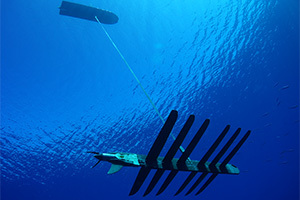 Covered with fiberglass panels and small antennas topside and tethered to a wing-like propulsion system beneath it called a sub, the Wave Glider communicates by low-Earth-orbit satellite through a command-and-control unit and surface radio modem, similarly to someone sending a text message by smartphone. 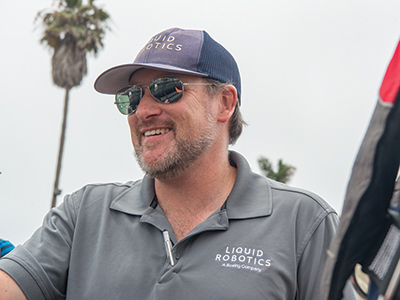 In Ventura, Calif., in July, seven months after Boeing acquired Liquid Robotics, the companies teamed to test new Wave Glider capabilities in the ocean that would be presented to a customer for the first time. 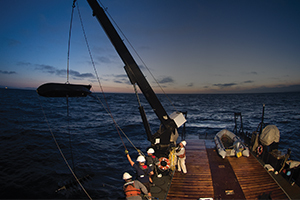 The testing demonstrated how transponders placed on the ocean floor by the Wave Glider conceivably could provide an oceanic GPS. 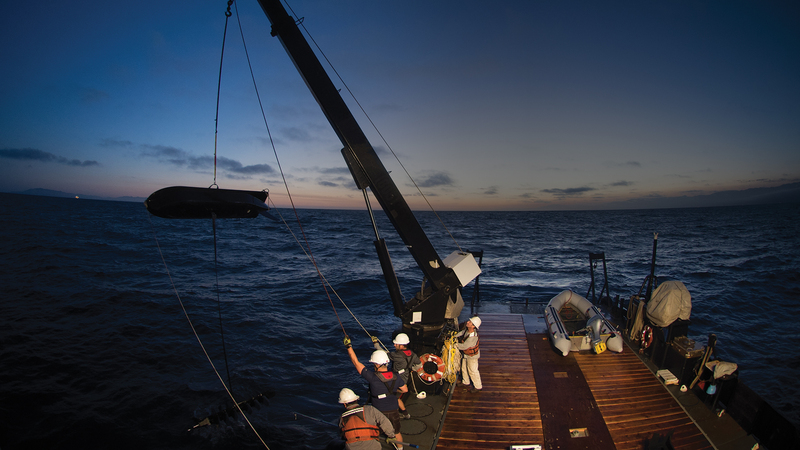 An unmanned undersea vehicle in need of updating its location could use these underwater acoustics to determine where it is and never have to surface. 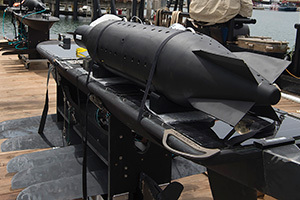 Brian Phelps (pictured), a Boeing systems analyst from Huntington Beach and a former U.S. Navy senior chief who usually works on the Echo Voyager, Echo Seeker and Echo Ranger, was on loan for the testing. 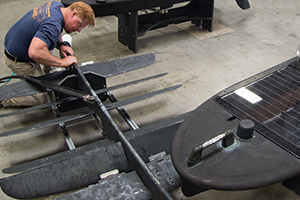 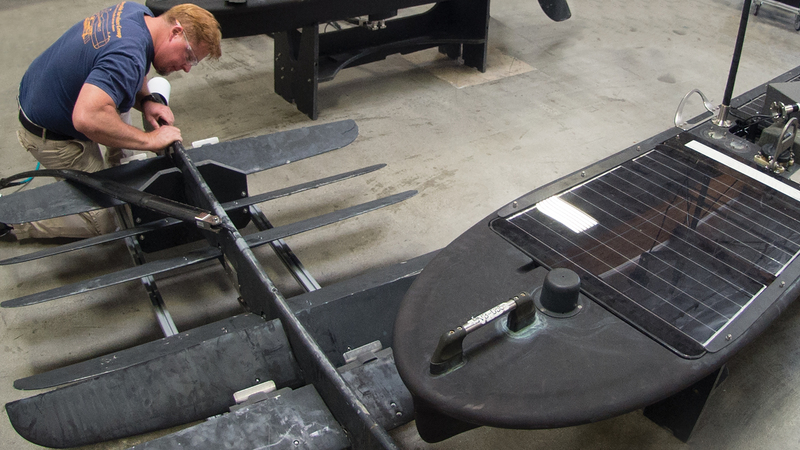 Employees across the company are working on different ways to use the Wave Glider. 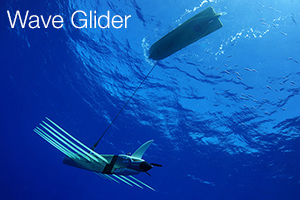 A Boeing team in Seattle has been asked to build a shell for the Wave Glider so it can be dropped in the water by parachute. 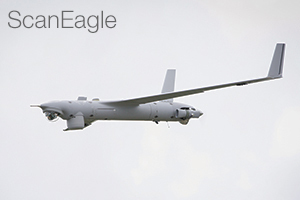 Engineers from Liquid Robotics and Insitu have paired ScanEagle with the vehicle, using the Wave Glider’s communication system to control the unmanned aircraft. 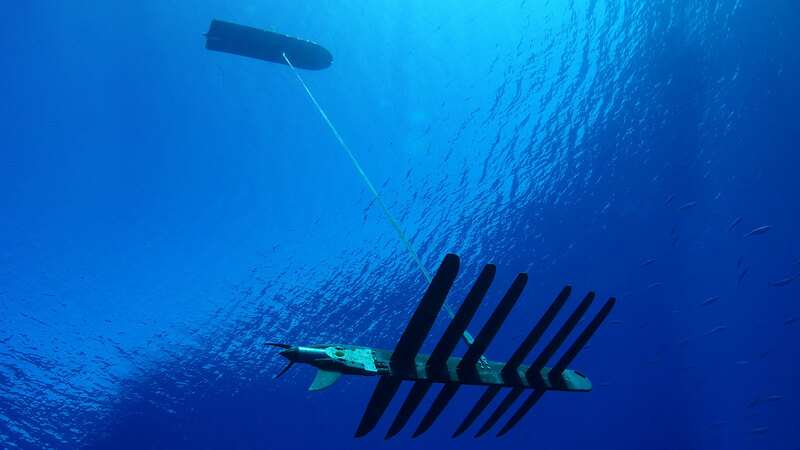 Kellie Keller, a former Apache helicopter pilot for the U.S. Army and senior director of program management for Liquid Robotics, said the Wave Glider brings great value not only with its persistence but also with its data-collection capabilities. 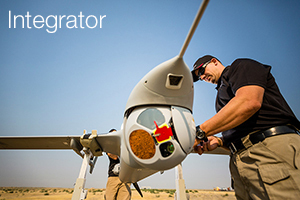 “I see it as a telephone operator that connects A to B and keeps the conversation going,” Keller said. 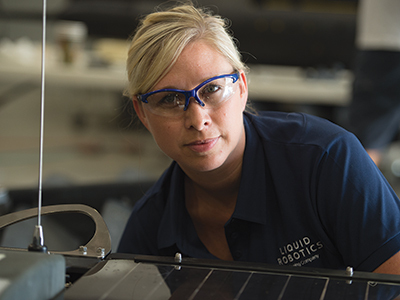 Terry Smith, a Liquid Robotics software engineer, welcomes the chance to work with Boeing engineering to increase the Wave Glider’s role. 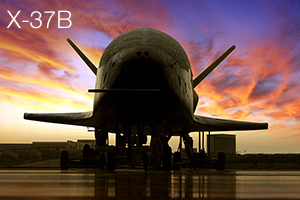 He said one way is to add more power to the operating system. 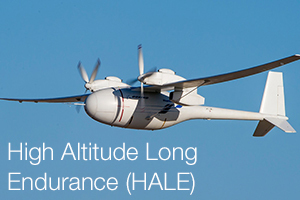 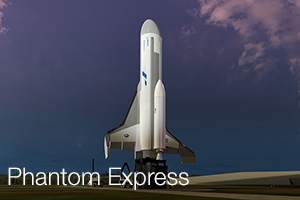 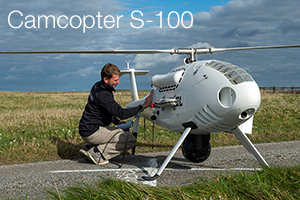 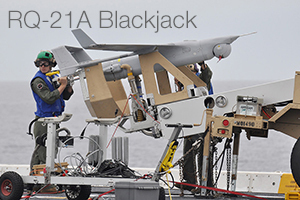 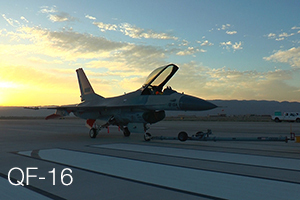 Click the images to view related videos, feature stories, photos and more content related to Boeing's Autonomous Systems.